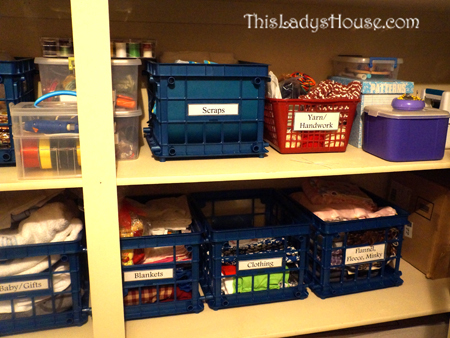 Sewing and crafts have always been a difficult area for me to organize. 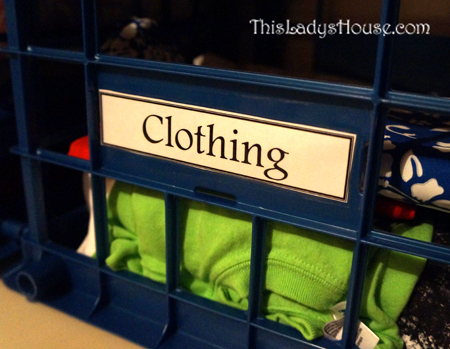 With limited space for many different items I was never quite sure where to begin or what direction to take. 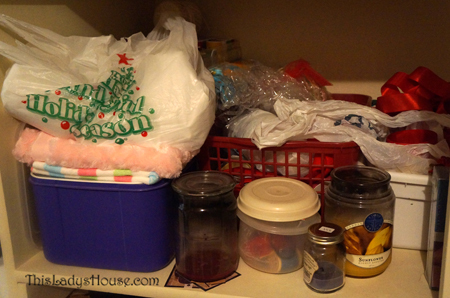 Finally I found the time and energy to go through my many large totes of fabric, ribbon, elastic, and yarn. I started out with a mess that looked like this! 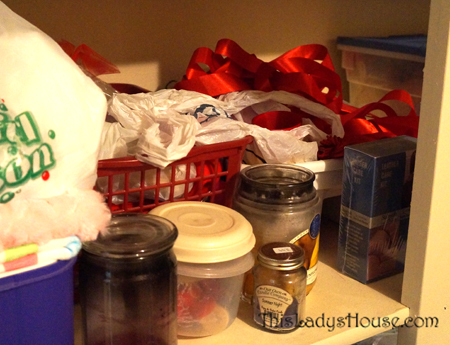 Everything was thrown in baskets or grocery sacks with no rhyme or reason to any of it! My gigantic box of Unfinished Projects was depressing to look at and I never felt motivated to open it up. Now, everything is organized by how it will be used. 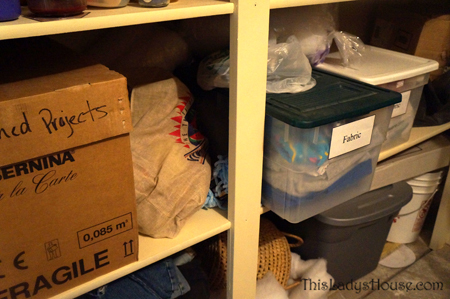 The fabric is in smaller containers, sorted by what the material will be used for rather than shoved in the bottom of a great big box. 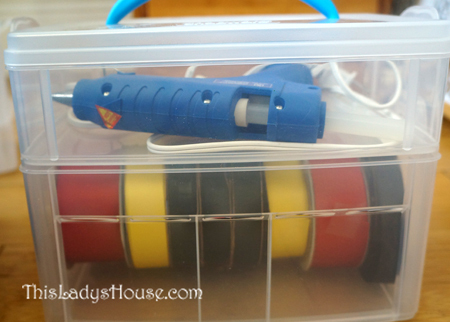 The thread is all in ONE thread organizer, rather than 3. The ribbon has its own home, and the trim pieces are all together so I am no longer hunting for 6 more inches of ric rac somewhere else. 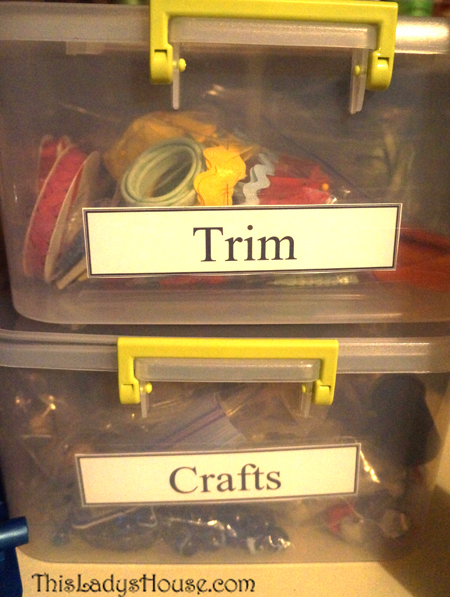 My favorite part of my sewing storage is my box of scraps. I tend to be a bit of a hoarder when it comes to bits of fabric. I finally had to face my obsession and get rid of the pieces that were too small to do anything with. 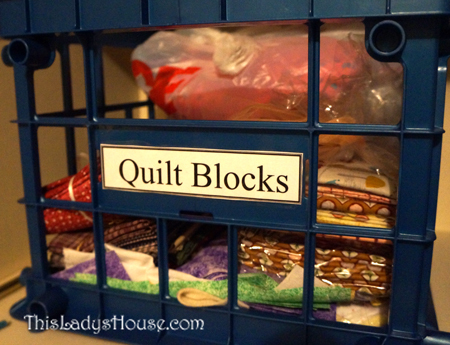 I decided to cut the flannel into 2 or 4 inch squares for quilts, if I couldn’t get a 2” square out of a piece it went into the trash. 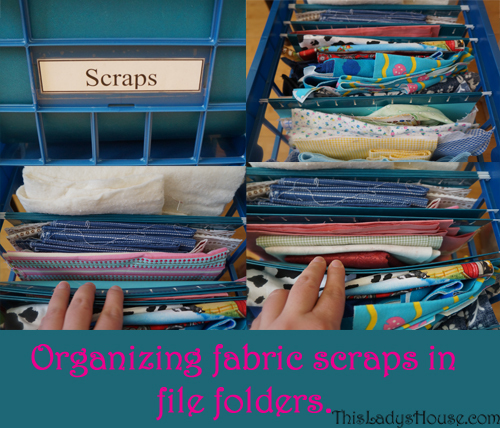 I now only have fabric scraps that will be useful! 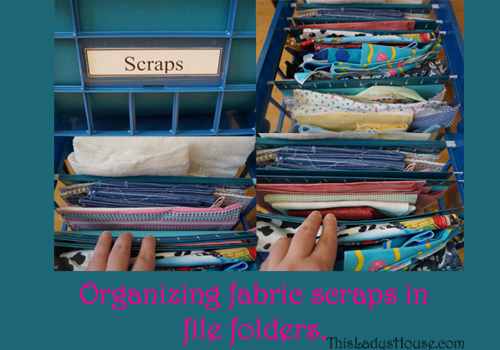 Placing the scraps in hanging file folders keeps them from getting lost in the bottom of the box and keeps the colors and types together how I need them. 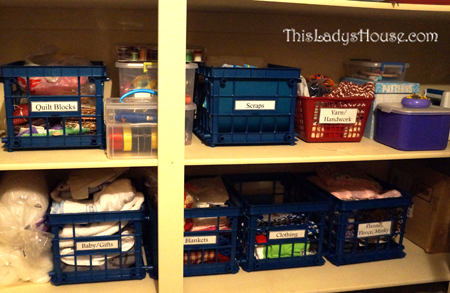 The end result: Everything has a home and each home is clearly labeled. Anyone up for a sewing party? 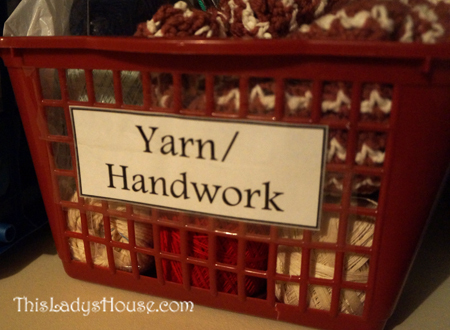 This entry was posted in Recipe and tagged Organization, Sewing.